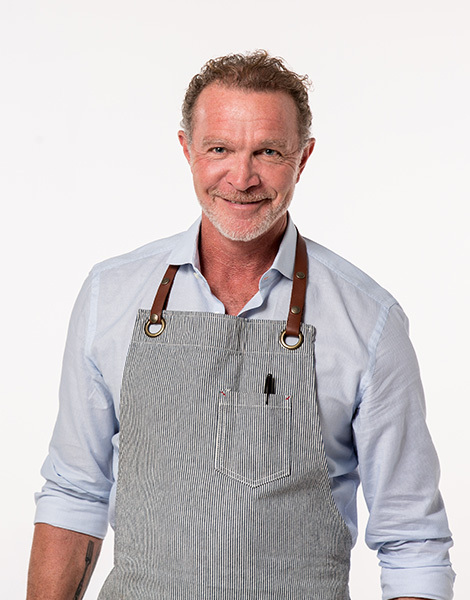 Chef Mark McEwan is one of Canada’s most celebrated chefs. He began his illustrious career as the youngest ever executive chef at Toronto’s upscale Sutton Place Hotel. From here, he opened the ground-breaking North 44 which set a new standard in Toronto’s culinary landscape. Chef McEwan continued to push dining innovation with the launch of Bymark; winner of the enRoute Award for Canada’s Best New Restaurants and a pioneer in the Toronto Financial District food scene. Never one to rest on his laurels, Chef McEwan then opened the chic ONE Restaurant, which is considered by locals and discerning travellers alike as the heart of Yorkville. Driven by the freshest ingredients and influenced by the marketplaces of the world, Chef McEwan turned his attention to upscale gourmet food and opened McEwan Gourmet Grocery at The Shops at Don Mills then at the TD Centre, offering shoppers the best produce from local purveyors and unique international culinary finds. Chef McEwan has just opened his third McEwan grocery location at Yonge & Bloor. Chef McEwan then moved to Italian cuisine with Don Mills’ Fabbrica serving authentic rustic dishes made with the finest ingredients. From here, he opened two more Fabbrica locations; a quick service Fabbrica at the TD Centre and a rural outpost in picturesque Thornbury, Ont. Always pushing boundaries with cooking techniques and styles, Chef McEwan created a wide-ranging menu for the elegant Diwan Restaurant at Aga Khan Museum which showcases his innovative approaches to Middle Eastern, North African, and South Asian cuisine. Chef McEwan continues to elevate Canadian cuisine onto the global stage through his bestselling cookbooks, in his kitchens and as head judge on Food Network Canada’s Top Chef.